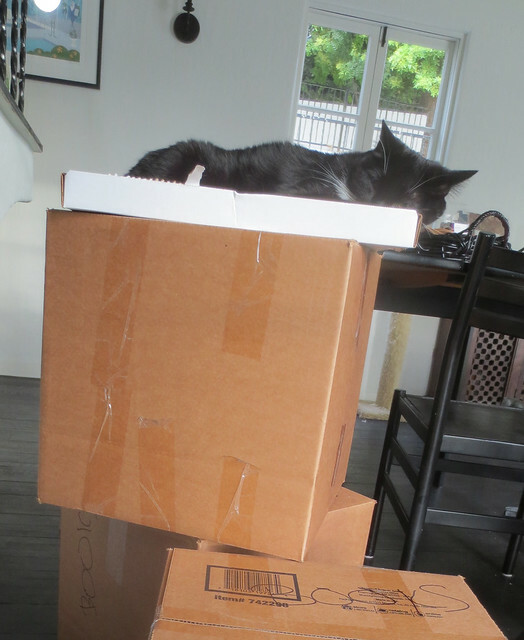 Winston prefers lids to boxes. Roughly where in VP is the new place? I was trying to guess from the very limited information I have when I was over at my brother's place (he's on Palmero not far up from Stocker) and didn't have any luck. Wow, that's pretty close to us. We're on Olympiad not far up from Angeles Vista. Looks like it's a couple of blocks away. Let me know if you want me to put you in touch. They've been there a few years (not as long as Jay and Becca, though they're not techincally in VP, I suppose) and seem to have good relations with the neighbors. Yeah, that would be great. Feel free to share my email address with them. Another thing you might do is encourage them to join Nextdoor.com. La Scanlin is a mover and shaker in the community and there's a fair number of people in View Park signed up, including us.